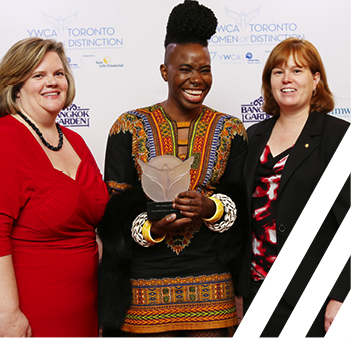 YWCA Toronto’s Women of Distinction Awards, now in its 39th year, is an inspiring event that recognizes the outstanding contributions of women, and celebrates the advancement of women and girls in our communities. 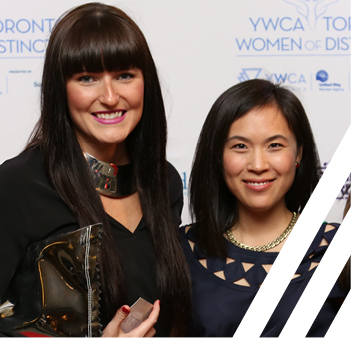 Women of Distinction exemplify the resolve, passion and intelligence it takes to advance our YWCA Toronto movement and transform the lives of women and girls. All of 2019’s Women of Distinction has an unwavering commitment to helping other women and girls in our city and are implementing real, positive change in our community. Click here to meet this year’s Women of Distinction Award recipients. Join us for this fundraising event to support women and girls in Toronto. Guests arrive for pre-awards mingling, reception and dinner in Fairmont Royal York’s elegant Canadian Room. 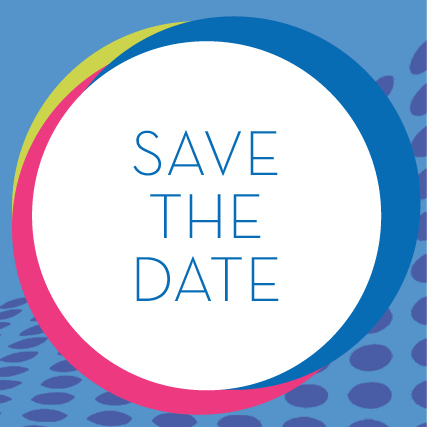 Network, meet and mingle with Women of Distinction past and present, and indulge at delicious food stations. Guests enjoy inspiring awards ceremony honouring extraordinary women. Continue networking, mingling and celebrating over dessert. 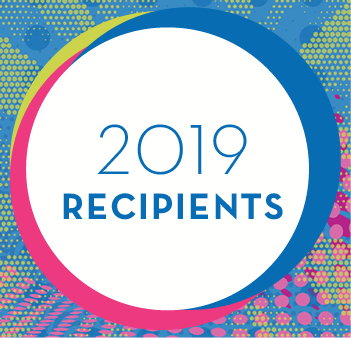 Meet the incredible 2019 Women of Distinction Award recipients. Be a change-maker! Empower women and girls through sponsorship. Help us grow the Fund in honour of our Circle of Distinction members. For information please contact Phoebe Wong, Manager of Events, Sponsorships and Volunteers at pwong@ywcatoronto.org or 416.961.8101 x361.